Who says you can’t have it all? 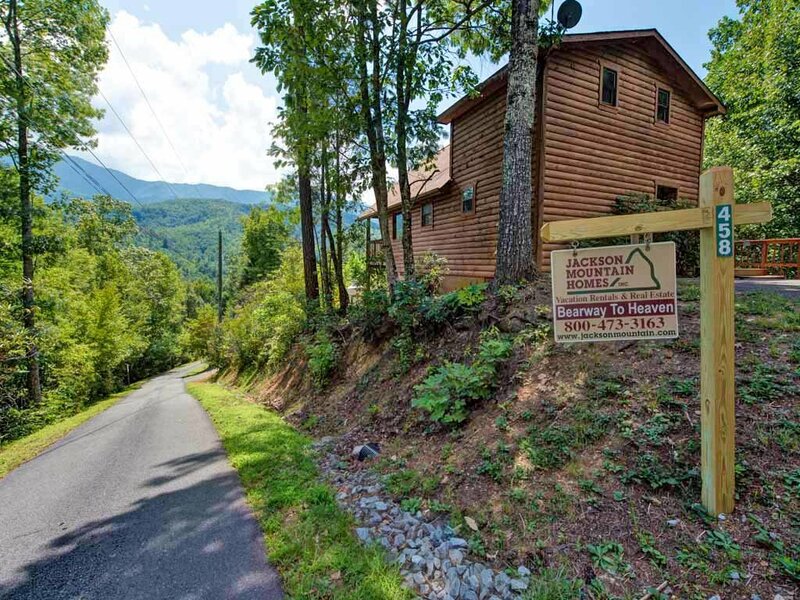 When you stay at Bearway to Heaven, you get the quiet and privacy of a secluded mountain hideaway, but it’s also less than a 15-minute ride to the restaurants, shops and entertainment of downtown Gatlinburg. 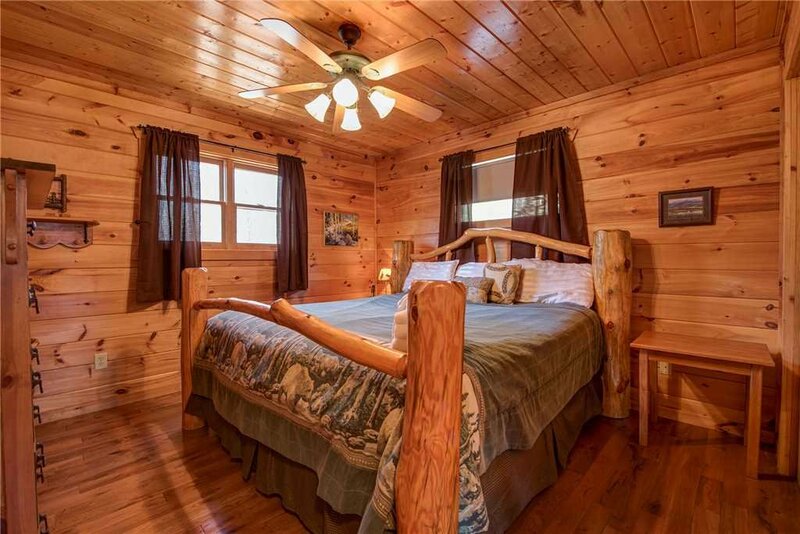 Charmingly furnished, with such amenities as an outdoor hot tub and an indoor jetted tub, the log cabin is ideal for a romantic getaway, but it also has a loft sleeping area, complete with pool table, that makes it equally well-suited for a family vacation. 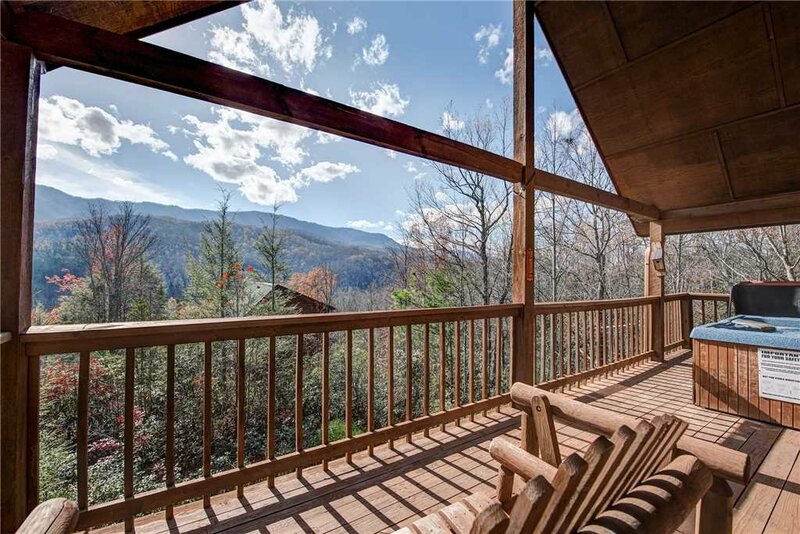 In short, Bearway to Heaven just may be the perfect vacation rental! 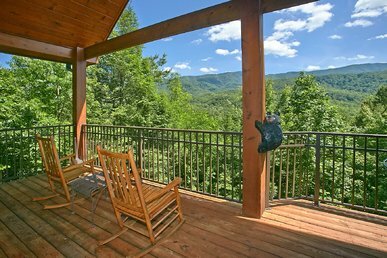 Bearway to Heaven appears delightfully rustic from the outside, perched atop a ridge looking out onto the Smoky Mountains and over treetops. 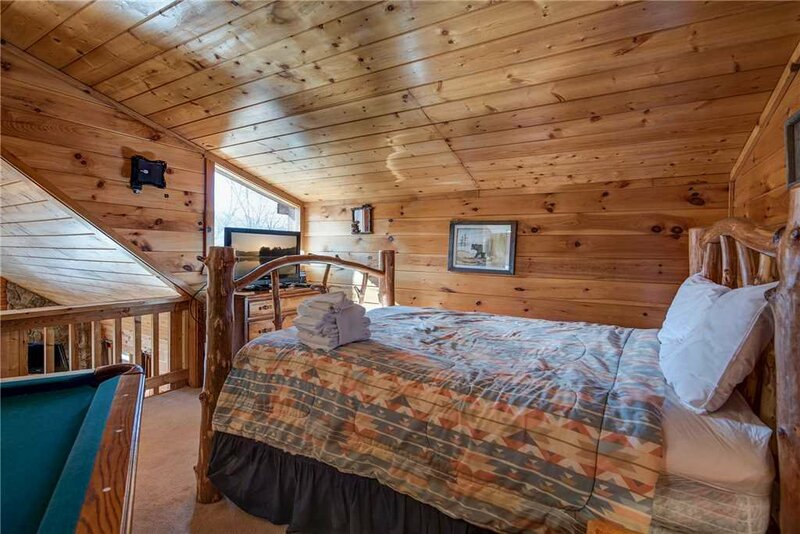 While the interior is decorated in a classic cabin style, it’s also rich with modern conveniences. 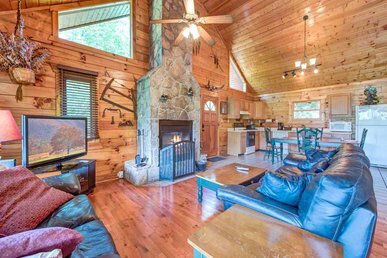 The living room, for instance, features a large flat-panel TV with Blu-ray player above the gas fireplace. 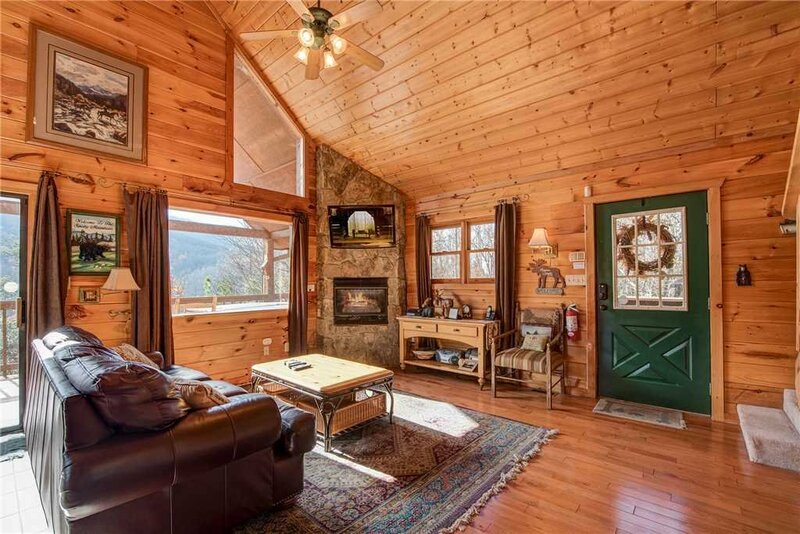 When you ease back into the leather recliner or stretch out on the roomy sofa, you can take advantage of the free WiFi as well as the stunning views outside the numerous windows. 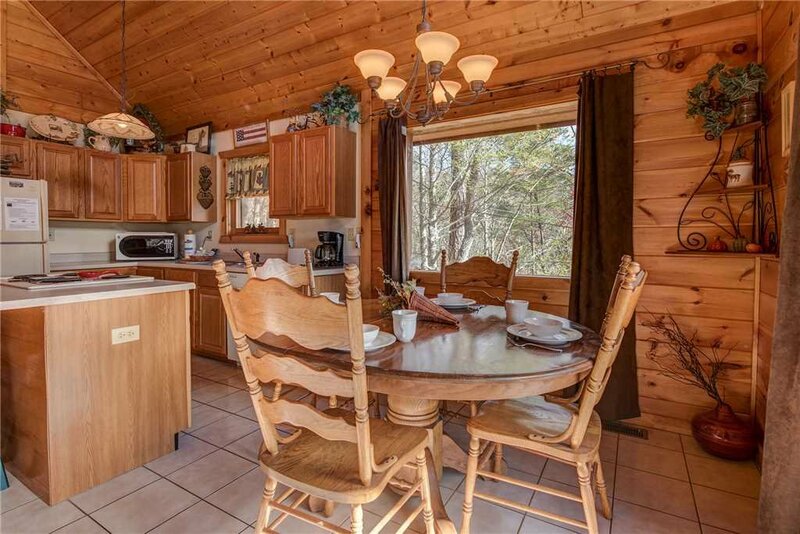 The kitchen has its own share of amenities, from full-size refrigerator/freezer to dishwasher and microwave, not to mention all the cookware and tableware you’ll need. 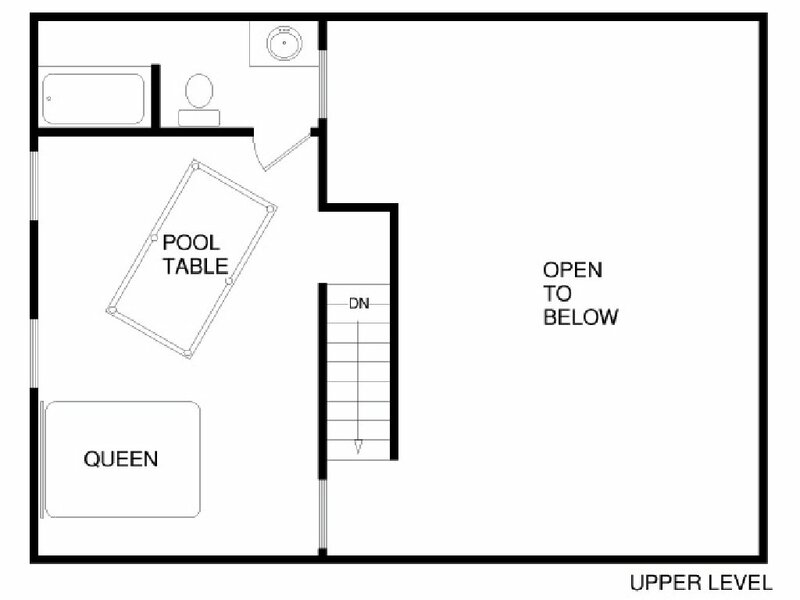 There’s also plenty of storage, so you can stock up on groceries at the beginning of your stay and not have to waste precious vacation time running back and forth to the supermarket. 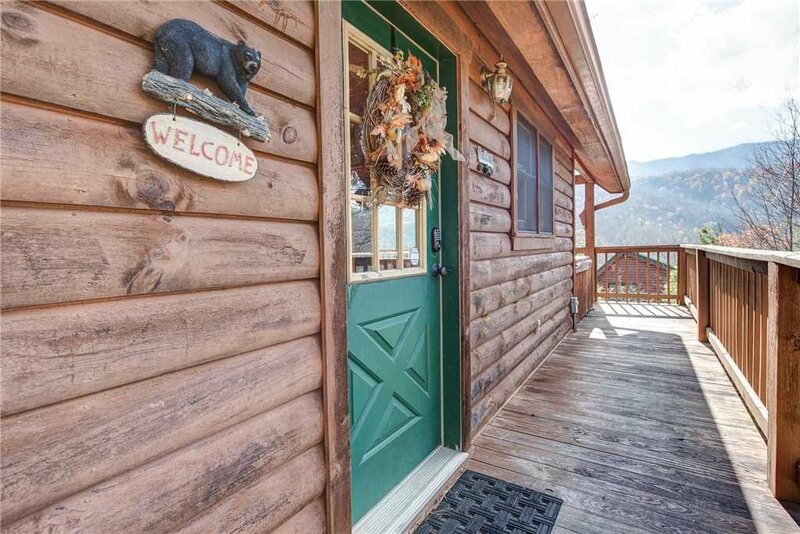 Bearway to Heaven also has an outdoor charcoal grill, offering another option should you develop a hankering for barbecue chicken or want to grill the trout you reeled in during the day’s fishing trip. 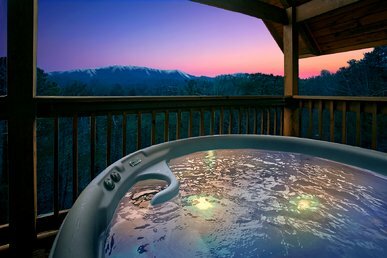 Speaking of outdoor amenities, wait until you see the hot tub on the back deck. 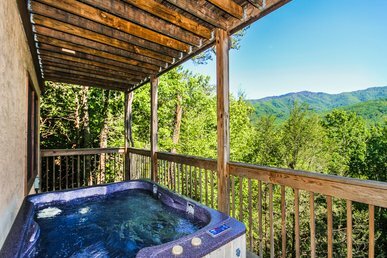 Perfectly positioned to take in views of the mountains and the seemingly endless sky, the tub will have been drained, sanitized, and refilled prior to your stay. 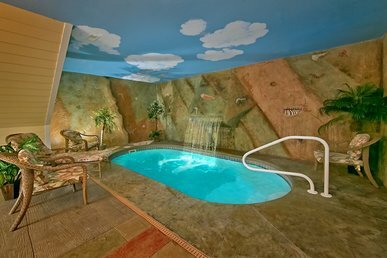 Relaxation is guaranteed! 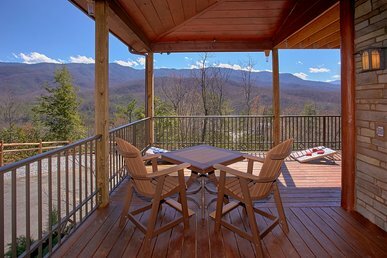 After your soak, maintain the laidback vibe by sitting back on one of the deck’s rocking chairs or sharing the adjacent glider with that special someone—or with your little ones as you read them a bedtime story. 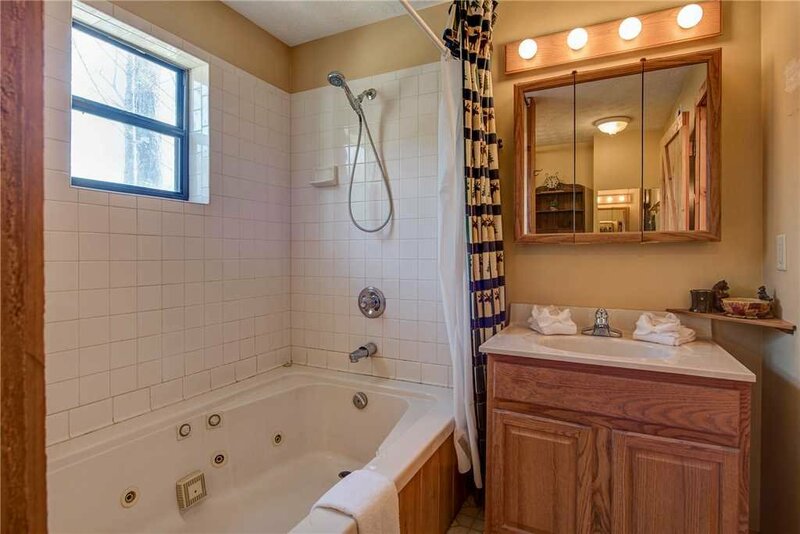 Back inside on the main level, the bathroom includes a jetted tub, perfect for that quality quiet time first thing in the morning, before bed, or just about any other time! 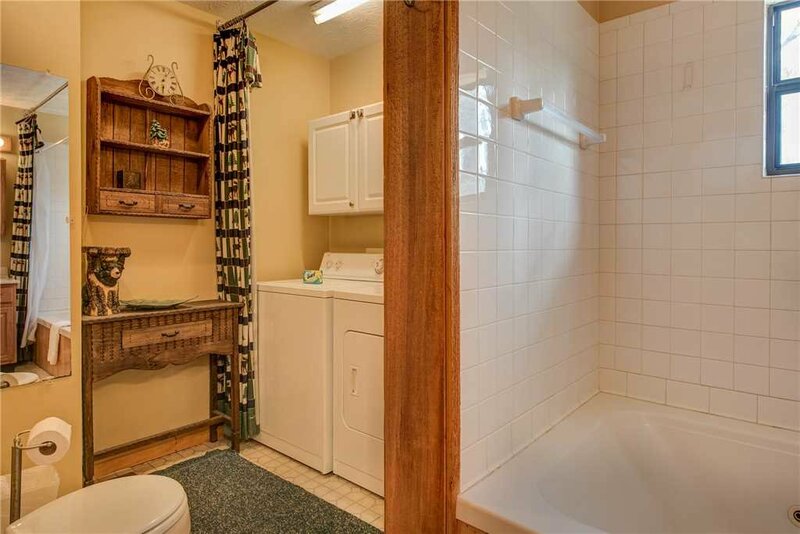 This bathroom also has a washer and a dryer, another added convenience you’re sure to appreciate. Now you can pack light and even return home with a suitcase full of clean clothing; having to run loads of laundry as soon as you get back from vacation is such a buzzkill! 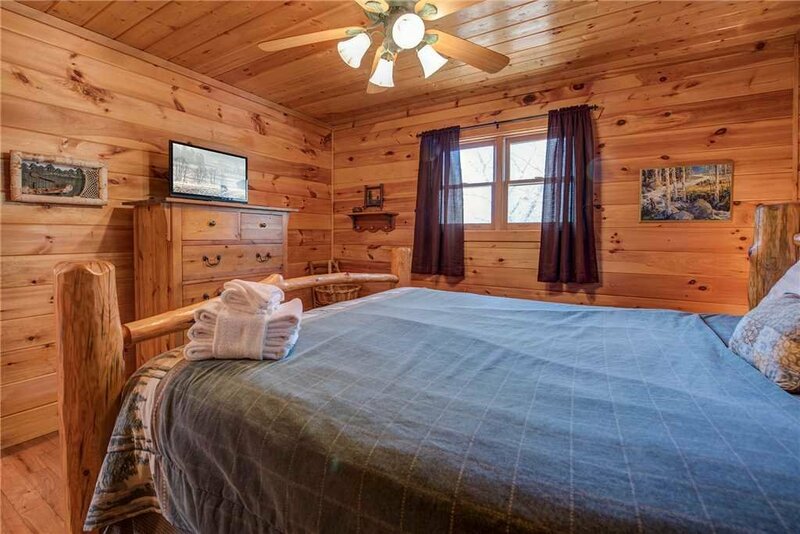 The master bedroom on the main level includes a king-size bed and a flat-panel TV. 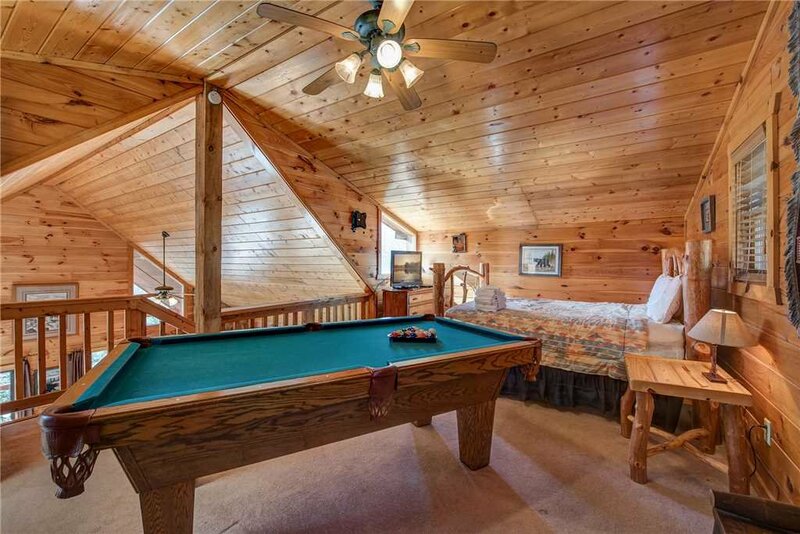 The loft level has its own sleeping accommodations, with a queen-size bed, a second full bathroom, and perhaps best of all, a pool table! You may find yourself hoping for a rainy day simply so you have an excuse to stay home and shoot some pool. But feel free to chill out at home even if it doesn’t rain—it is your vacation! 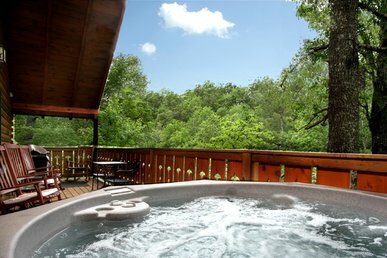 Finding things to do is no problem when you stay at Bearway to Heaven. 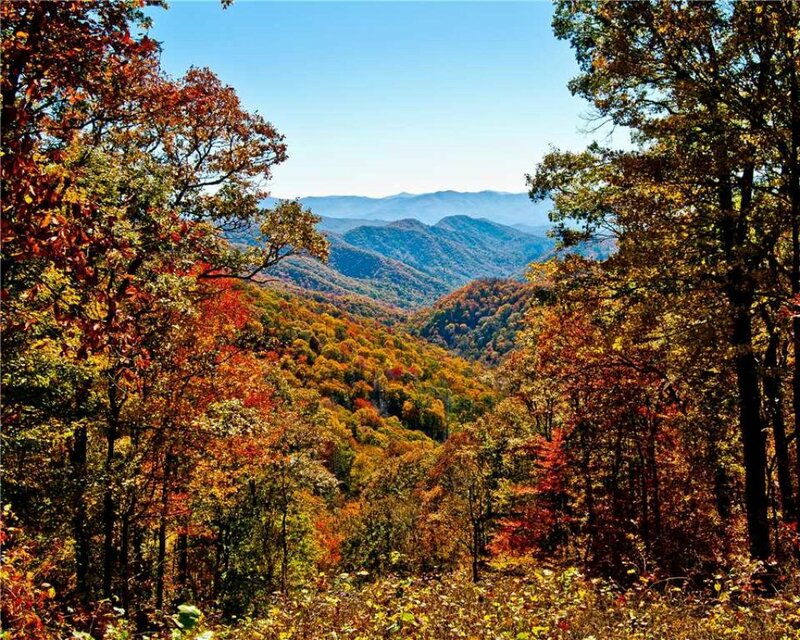 As well as the attractions of downtown Gatlinburg, you’re just a quick ride away from the Greenbrier Park entrance to the Great Smoky Mountains National Park, home to waterfalls, hiking trails, historic cabins, and some of the highest ridges of the Appalachian range. 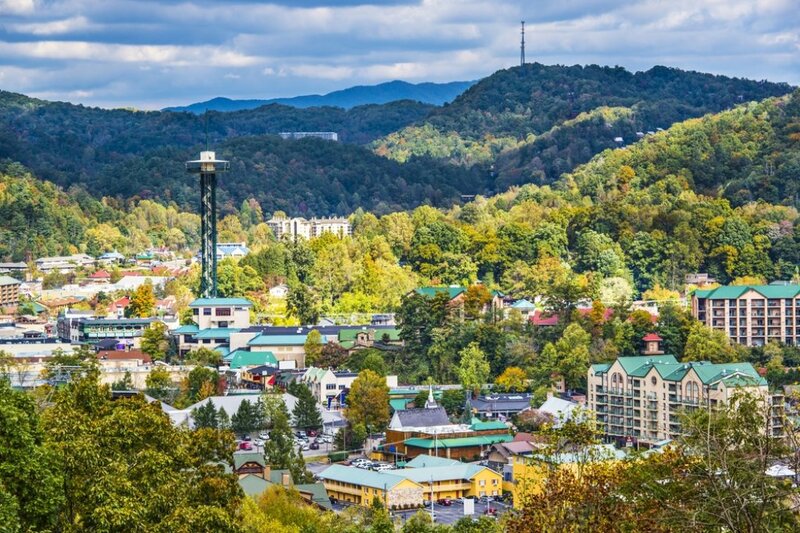 Also nearby are Dollywood, mini-golf, white-water rafting, golf courses… the list goes on and on! 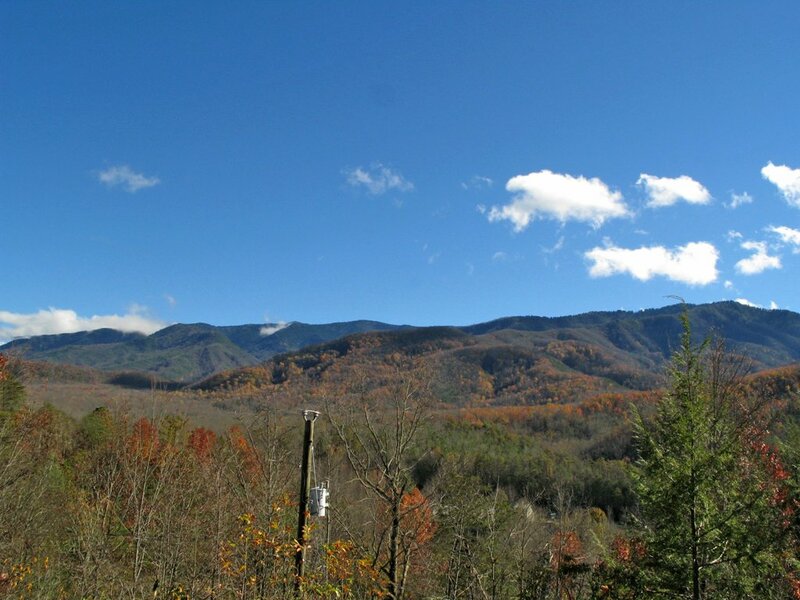 All of this and the beauty of the Smokies is right outside your door when you stay at Bearway to Heaven. 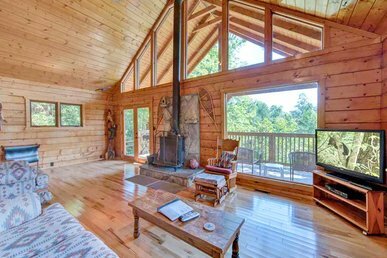 If you’re vacationing with other couples but want separate accommodations, Bearway to Heaven can be packaged with nearby properties, such as Dreamweaver, Majestic View, Naughty by Nature, and Seneca, in the same Laurel Highlands community. So what are you waiting for? 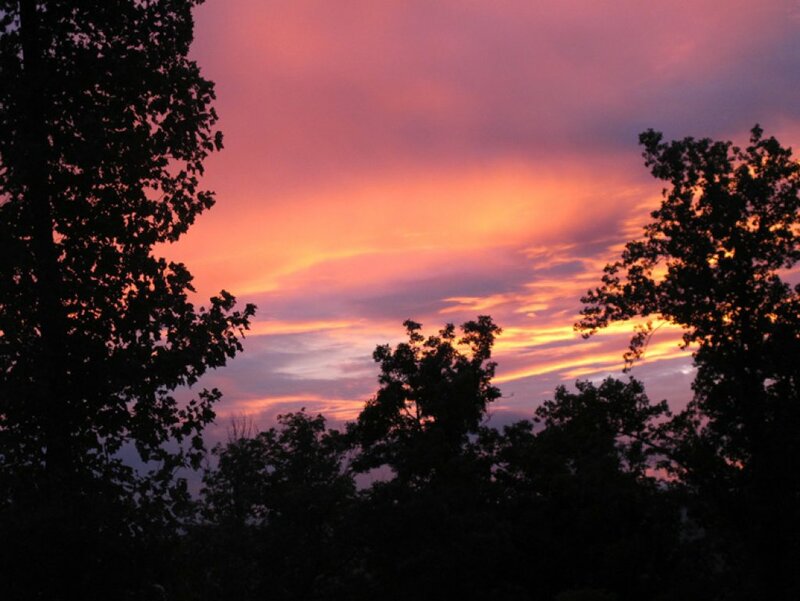 Book your stay and start planning your perfect vacation today! 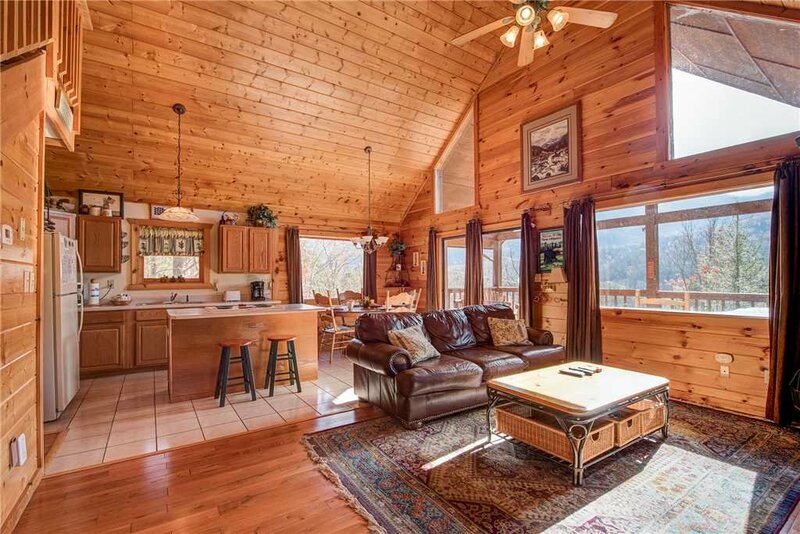 We really loved the cabin. 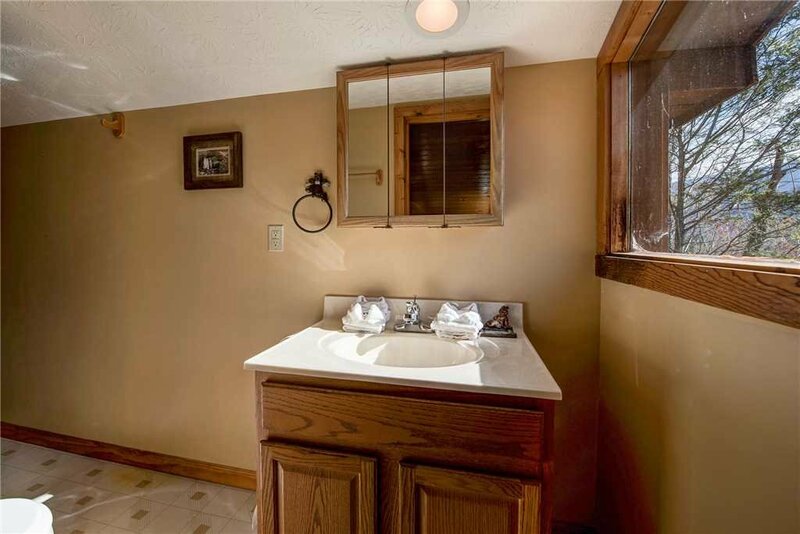 It was clean and close to town. 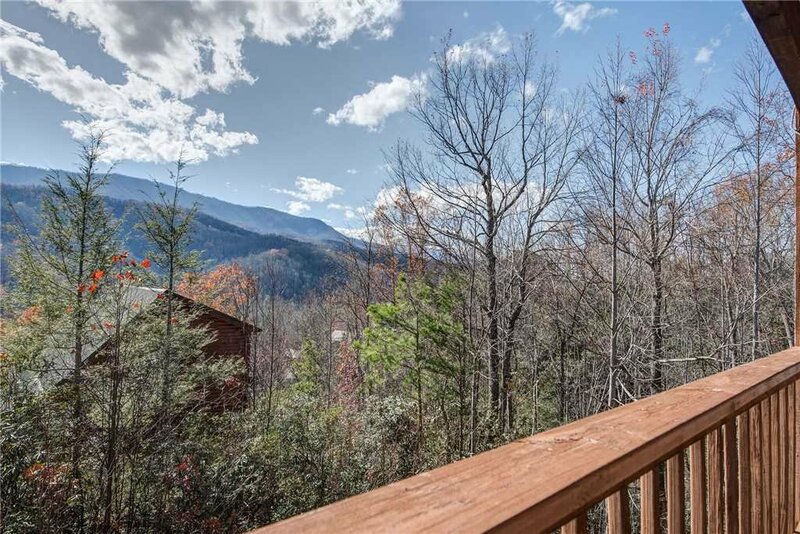 The view of the mountains was amazing. WiFi didn't work and customer service did not repair during our stay. The overall experience was great! 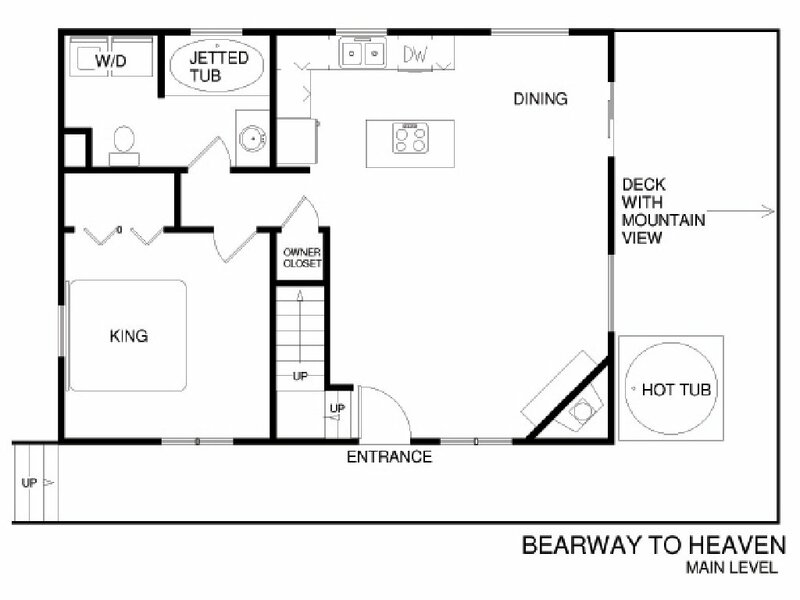 We booked Bearway to Heaven for our honeymoon, the cabin location was pretty private. 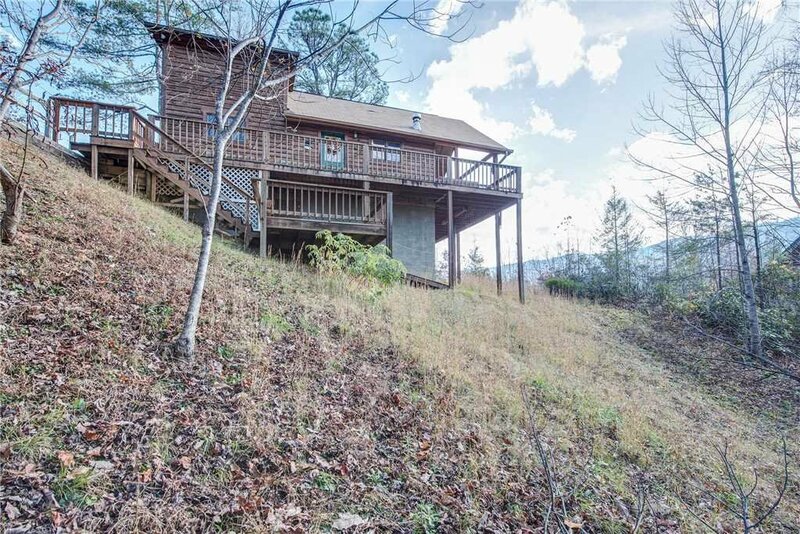 You couldn't see surrounding cabins from the balcony. The property was very clean and homey. The beds were really comfortable and everything throughout the house was easy to locate as far as remote controls, pots and pans. 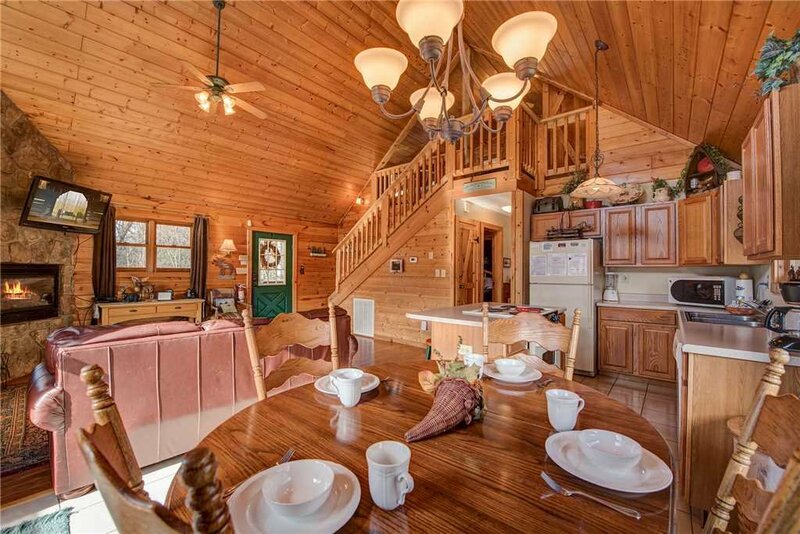 The cabin literally looks just like the pictures, you will not be disappointed. And also, they have a keyless entry feature and an app so its makes eveything that much easier. 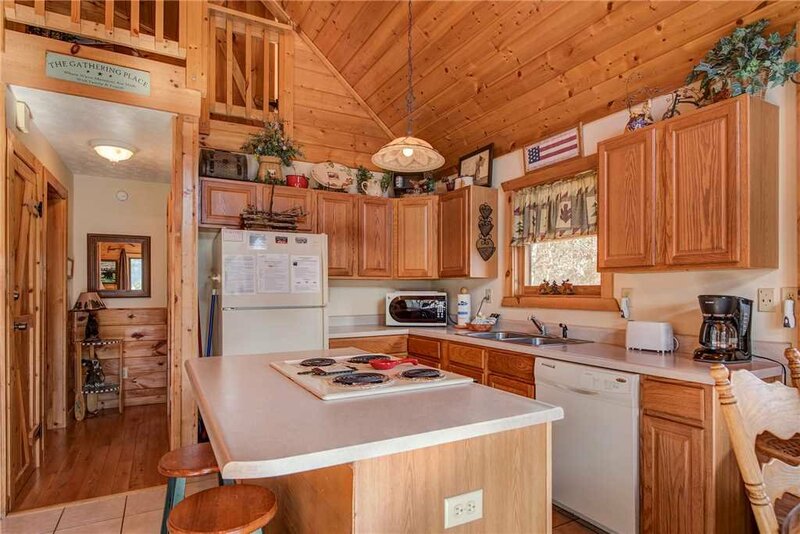 Cutting out the middle man and allowing you to get to the cabin quicker. Like i said, YOU WILL *NOT* BE DISAPPOINTED. We highly recommend. 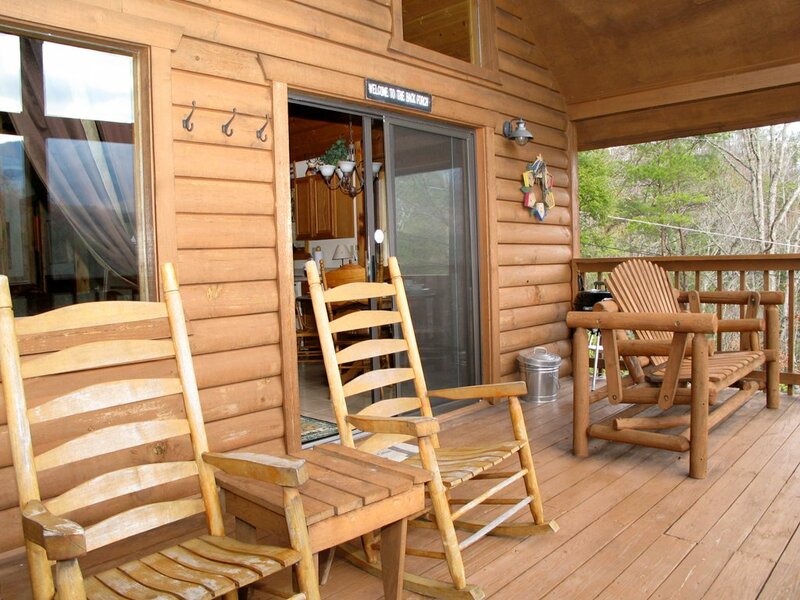 The cabin was very clean and well maintained. We will definitely be coming back. Very peaceful. Very â€œhomilyâ€. 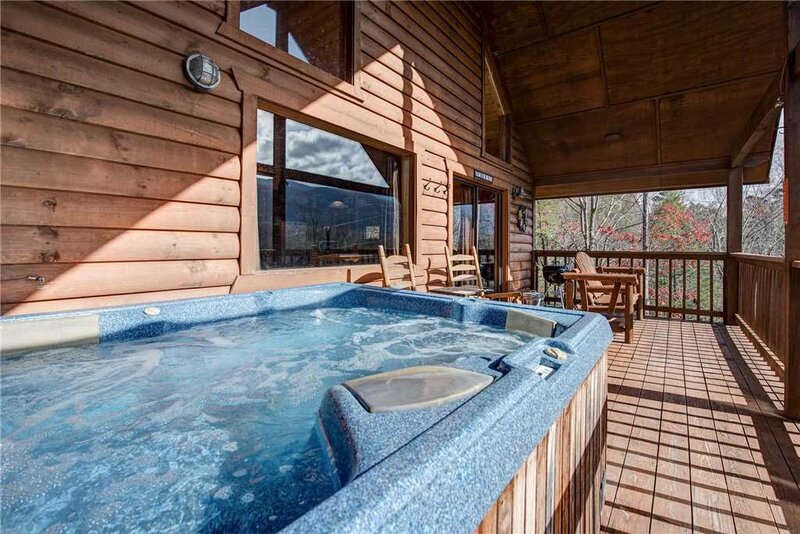 Loved the scenery, hot tub, the feel of the cabin.